Ticket sales open one hour before the first screening of the day and are open until the beginning of the last screening of the day. Not accessible because of the broken wheelchair lift. Sept. 7–20: Please check kinoengel.fi for the opening hours during the pre-sale. During the pre-sale you may purchase festival passes and catalogues from Kino Engel but not individual tickets. Sept. 21–30: Ticket sales open one hour before the first screening of the day and are open until the beginning of the last screening of the day. 1 wheelchair seat per screen. Ticket sales open 0,5 hour before the first screening of the day and are open until the beginning of the last screening of the day. 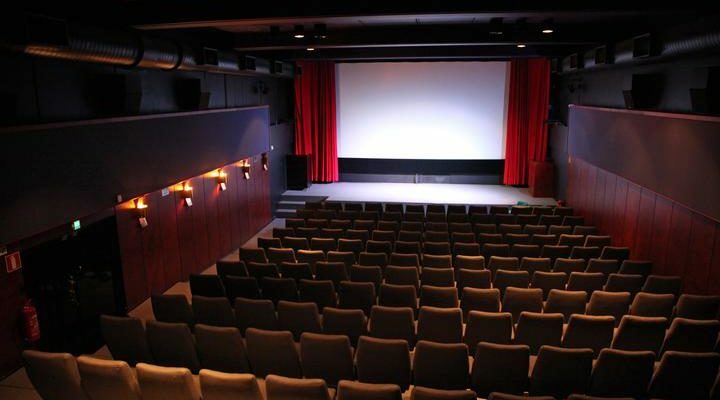 Please note that Kino Tapiola only sells tickets to its own screenings. 2 wheelchair seats in screens 1 and 2, 1 seat in other screens. 2 wheelchair seats. Entry with a ramp, which the staff is happy to assist with. 2 wheelchair seats. There is a small doorstep upon entry, which is the staff is happy to assist with. The accessibility of Savoy Theatre meets with the needs of different audience groups. The main entrance is equipped with a wheelchair ramp. There are several wheelchair seats and an accessible toilet in the foyer near the cloakroom. Further details are available on the Savoy Theatre website.